The Democratic Socialists of America scored headline-grabbing victories in this year's midterm elections, sending its first two members to Congress while a number of members won in state and municipal races across the country. But what are the DSA's core beliefs, and what policies are these newly elected lawmakers likely to champion as priorities? "It's the issues that drive us, but really it’s the people that drive the issues,” Allie Cohn, a member of the DSA's 16-person governing body, said in an interview. "We're working under the ideology of what’s best for the working class. What’s the most human. We organize for social democratic reform," she continued. "We're organizing for reform — we want to transform the status quo, because what we know of the status quo isn't working." Members, who self-identify as everything from communists to liberals to Marxists to socialists, vote on a platform during the organization's biennial national convention. At the most recent convention in Houston in 2016, members pushed for a focus on Medicare For All and strengthening unions — and also emphasized gaining more elected representation. 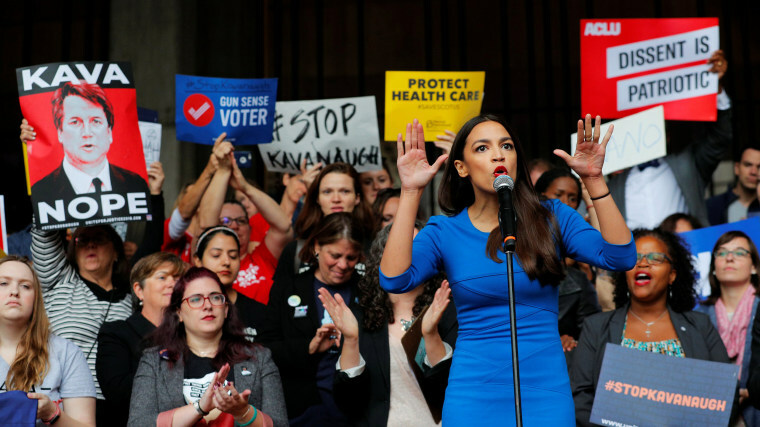 The DSA saw membership surge after Rep.-elect Alexandria Ocasio-Cortez, D-N.Y., beat longtime incumbent Joe Crowley in the Democratic primary in June, Cohn said. It was 44,000 members strong prior to her victory, and 4,000 more people joined within a week of her win. Now, the organization has 55,000 members, Cohn said. Here are five issues and priorities backed by members of the DSA. The DSA believes in abolishing the Immigration and Customs Enforcement (ICE) agency, and advocates abolishing borders and any other "barrier imposed on the social, labor and political power of migrants," according to a mission statement on the DSA's website. The two DSA members headed to Congress, Rep.-elect Rashida Tlaib, D-Mich., and Ocasio-Cortez, have both publicly endorsed abolishing ICE. "We can replace it with a humane agency that is directed toward safe passage instead of the direction of criminalization," Ocasio-Cortez told CNN in October, shortly after she won her primary race in an upset. DSA members support Medicare for All — meaning a single-payer, government-run health insurance system that would offer coverage to anyone living in the United States. Ocasio-Cortez and Tlaib campaigned on Medicare for All in the midterms — and so did others who aren't members of the DSA, as well. "I'll fight for Medicare for All that guarantees health care as a right, not a privilege," Tlaib wrote on her campaign website. "We're the only major nation on Earth that does not guarantee health care for its residents, and because of it millions of people in this country still do not have access to the health services they need." After she was elected, Tlaib told The Washington Post that health care is a priority for many members and that she is "very much" committed to advocating for Medicare for All. Ocasio-Cortez had continued to call for Medicare for All, as well. Strengthening unions, in which workers self-organize to collectively bargain for fair wages, benefits and working conditions, was voted a nationwide priority during the DSA's most recent convention, and DSA routinely offers support when workers strike across the country. "I would say our biggest theme is that we're obviously working toward a more democratic society that is for the workers," Cohn said. "It all comes back to the same issue, that we need a society that is more democratically run, where the wealthy aren't the only ones who have access to all these basic human rights that we should all have access to." The DSA, according to its working group, takes an "ecosocialist position on climate action," which views capitalism fundamentally at odds with saving the planet. Bertell Ollman, a politics professor at New York University who researches Marxism, said he believes environmental issues is one factor behind increased interest in socialism. "It's a chance of resolving some of our worsening problems in society like climate change, wars and growing inequality, which I think are the main problems that are pushing people, especially young people, more towards socialism," Ollman said in an interview. Though not yet sworn in, Ocasio-Cortez has prioritized the issue of climate change, announcing a "Green New Deal" alongside a diverse group of Democratic lawmakers during a news conference outside the Capitol in Washington at the end of November. According to the DSA's newly-created anti-war think tank, the organization opposes war "as a key part of the struggle for socialism." "I don't support military operations," Tlaib told the democratic socialist publication In These Times in August. "If you go to the Department of Defense website, every day, Monday through Friday, there is an area called 'contracts.' Go there. You want to pay for college? Medicare for All? Pay to take care of Americans dying from famine to basic human rights abuses? Look at those contracts. I’m floored at how much money [they’re spending]." Most recently, the DSA supported a Senate resolution that would end all U.S. involvement in the Saudi-led war in Yemen. That measure passed a key procedural hurdle in late November in a 63-to-37 vote. Diamond Naga Siu is a digital politics intern for NBC News.